The Penti was made in East Germany from 1959. Four different colours were available: white, red, black and blue. The Penti uses the Schnell-Lade (SL) film system and can make 24 18x24mm exposures on one strip of 35mm film. Penti II was introduced in 1961. 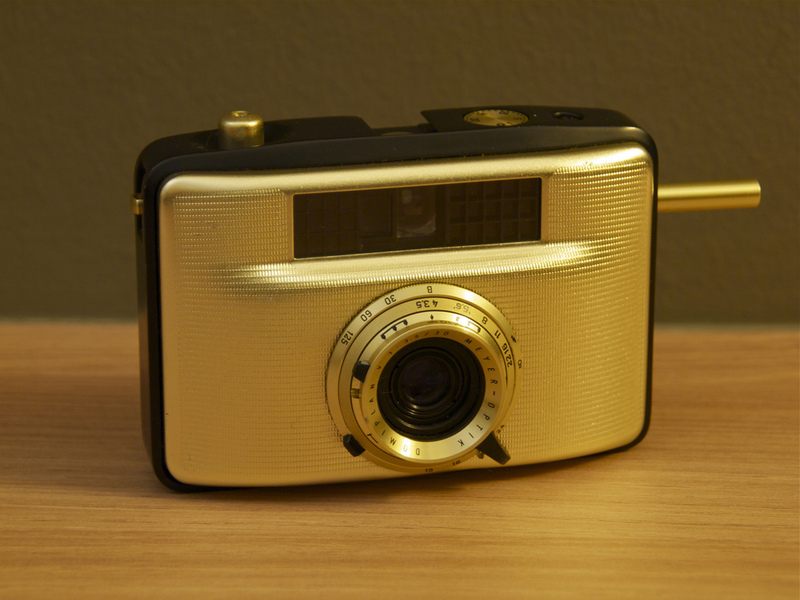 This version made it a real classic, combining the uniquely designed full featured viewfinder camera with viewfinder-controlled coupled match-needle selenium meter. It was produced until 1977.